Homes destroyed, lives were turned upside down after Hurricane Michael lashed Florida panhandle and southeastern U.S.
Samaritan's Purse teams are responding to needs following this monstrous Category 4 storm. 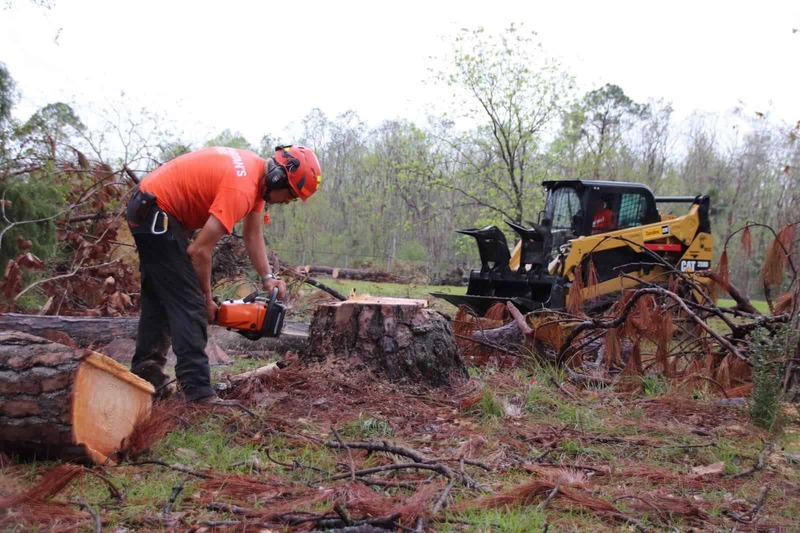 Samaritan’s Purse Canada has staff and volunteers responding to Hurricane Michael in the southern U.S, the hurricane made landfall as a monstrous Category 4 storm. Michael pounded the Gulf Coast with winds of 250 km/hour, then left a path of destruction through several other southeastern states. Tens of thousands of people were ordered to evacuate the area. Florida Governor Rick Scott declared a state of emergency for 35 counties. There have been over 34,000 volunteer hours invested so far, helping hundreds of devastated families. However, due to the overwhelming damage caused, there is still much to do. “There is enough work to keep our teams busy until the end of January 2019,” says Brent Davis, Canadian Disaster Relief Director. Canadian volunteers, Phil Pavel and Harold Helm, removing debris for a homeowner in Mexico Beach. The hurricane roared ashore near Panama City, Florida, and moved rapidly to the northeast, through Alabama, Georgia, South and North Carolina. Michael was the third-most powerful hurricane ever to make landfall in the U.S. mainland. The storm was being blamed for at least two deaths. The day after making landfall, more than 700,000 homes and businesses in the southeast U.S. were without electricity. It then hit North Carolina and South Carolina with heavy downpours and threatened tornadoes, while recovery from Hurricane Florence was still in its infancy. The hurricane roared ashore near Panama City, Florida, and moved rapidly to the northeast, through parts of Alabama, Georgia, South and North Carolina, and Virginia, where people are still reeling from damage caused by Hurricane Florence. Last year, Samaritan’s Purse Canada staff and volunteers helped U.S. victims of both Hurricane Harvey and Hurricane Irma with much-needed clean-up. Please continue praying for those hurt by the storm, and for our teams as they serve.